On the the theme demo, you'll see a widget area between the 2nd & 3rd posts. You can put any widget of your choice here: affiliate links, Instagram feed, advertisement, image, categories, etc. I put affiliate code in a text widget and titled it "My Wishlist." 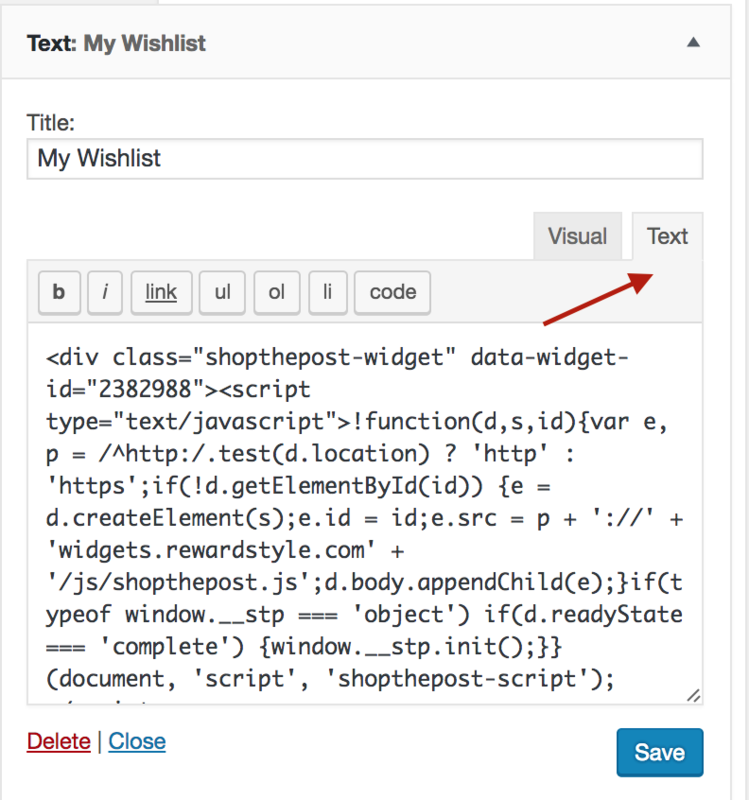 Drag a text widget to the In Between Posts widget under Appearance > Widgets, select the text editor option, and then paste your code. If your code is not showing up, delete the quotation marks and then type them in yourself. Sometimes, WordPress doesn’t want to ready copied and pasted quotation marks. Here's (link) how to get affiliate code.